A: This is certainly a very timely question, since a number of former Anglican clergy who had entered the Catholic Church were just ordained Catholic priests in London on January 15. The official position of the Catholic Church, as enunciated by the Vatican, is that ordination to the priesthood according to the Anglican/Episcopalian rite is invalid. On the surface, that simple statement would seem to answer at least the first part of Jon’s question—but this issue is so complicated, and its history is so fascinating, that the rationale lying behind the Catholic Church’s position merits a closer look. When we have a basic understanding of the events surrounding the formation of the Anglican hierarchy in the 16th century, it is much easier to appreciate why analyzing the current situation is trickier than one might think. The first issues that we need to address are these: can a non-Catholic administer a sacrament that is valid in the eyes of the Catholic Church? and at the same time, can a non-Catholic receive a sacrament that is likewise valid in the eyes of the Catholic Church? We saw in “Do Converts Have to be Rebaptized?” that the Catholic Church recognizes as valid the sacrament of baptism that is administered according to many non-Catholic rites. 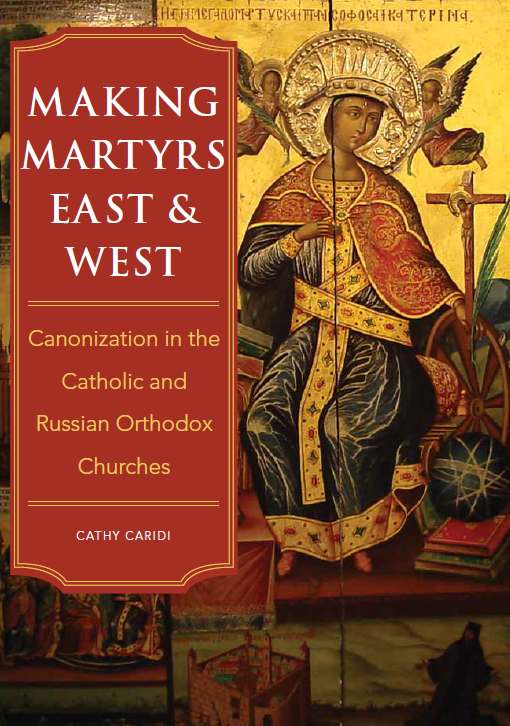 The Orthodox Churches, all of the main-line protestant communities, and some (though not all!) of the smaller Christian groups baptize their members using a form that is consistent with that used by Catholics, and with the same intention. Thus there are many non-Catholics in the world today whom the Catholic Church recognizes as having validly received this sacrament, although they did not receive it in a Catholic parish or from the hands of a Catholic. However, when it comes to the other sacraments, administration by non-Catholics is another story. That’s because all the others require a validly ordained cleric—a bishop, priest, or deacon, depending on the sacrament and sometimes also on the circumstances—to administer them. To cite an obvious example, we Catholics all know that if a man who has not been validly ordained a priest attempts to grant a Catholic absolution in the confessional, his action will have no effect. The sacrament of holy orders, to cite another, cannot be conferred by anyone other than a validly consecrated bishop (c. 1012). Without valid bishops, it is impossible to have validly ordained priests. Without validly ordained priests, it is impossible to validly receive any of the other sacraments, with the exception of baptism. That is why the Catholic Church is so careful to preserve Apostolic succession. The original twelve Apostles, whom Christ consecrated as the first bishops, in turn consecrated other bishops, who then consecrated other bishops, and so on until our own day. If anybody claims to be a bishop, but has not been consecrated by a bishop who is demonstrably in the line of Apostolic succession… he is not, despite his protests, a validly consecrated bishop. This is why the Catholic Church accepts the validity of bishops in the Orthodox Church, who can trace their succession right back to the Apostle St. Andrew. Similarly, this is the reason why we do not consider valid those ministers who refer to themselves as “bishops” in many small evangelical communities—they do not have Apostolic succession and thus cannot possibly be validly consecrated clergy in the eyes of the Catholic Church. Along the same lines, it might seem easy to dismiss off-the-cuff any claims by Anglicans (who in the U.S. are generally called Episcopalians) to have Apostolic succession. After all, they rejected communion with the Catholic Church during the reign of Henry VIII (1509-1547), right? It may be surprising to readers to learn that the historical facts behind Henry VIII’s establishment of the Church of England are not so black-and-white. Historians—Catholic and non-Catholic alike— will affirm that while King Henry clearly wanted to assert his own spiritual authority over the faithful within his realm, it is not so clear that he radically wished to break from Rome on a theological level. In other words, it seems that Henry wished to establish a different structure of church authority, but did not want to change basic sacramental theology. To further complicate matters, we must keep in mind that the very first bishops in the new Anglican church… were all former Catholic bishops. When these bishops apostatized from the Catholic faith, that in no way “undid” their own episcopal consecration, received back when they were still Catholics. Canon 845.1 tells us that the sacrament of orders, like the sacraments of baptism and confirmation, imprints a character on a person’s soul. It can never be erased (which is incidentally why these sacraments can be validly administered only once). And since it can never be erased, a bishop who falls away from the Church is still a bishop. And since he is still a bishop, he can still validly administer Catholic sacraments, even if he has left the Catholic Church! True, his administration of these sacraments will be illicit, and he should not be doing so. (We looked at the difference between validity and liceity back in “Are They Really Catholic? Part II.”) But like it or not, he really can ordain true Catholic priests and consecrate real Catholic bishops. What were these Catholic-turned-Anglican bishops actually doing, when they stood inside the former Catholic (newly declared to be Anglican) cathedrals of England, and ordained new clergy for the Anglican communion? This is the crux of the matter. For if they genuinely intended to do what they had always been doing during Catholic ordination ceremonies, and used the same ritual, we can only conclude that they ordained “Anglican” clergy who were in fact Catholic priests. If, on the other hand, they truly intended a full break with Rome in the sacramental sense—denying the institution of the clergy as the Catholic Church understands it, and desiring instead to create something new and different—then they did not effect valid ordinations. If the clergy—priests and bishops—that they purportedly ordained were not really ordained at all, this means that once the original ex-Catholic bishops died out, the new Anglican clergy were not valid clerics and Apostolic succession was broken. Such was the official position of the Catholic Church, which soon asserted that the ordinations of Anglican clergy were ipso facto invalid. In the late 1800’s, however, Pope Leo XIII established a commission to investigate the matter further. Members were charged with examining the historical documents pertaining in any way to the ordinations performed during Henry’s era by those former Catholic bishops, looking particularly at the form and also at their intention. Did they really mean to ordain Catholic priests under another name, or what? The results of the commission formed the basis for Pope Leo’s bull called Apostolicae Curae. Issued in 1896, it declared publicly that in the eyes of the Catholic Church, ordinations performed using the Anglican rite were, and always had been, absolutely null and void (36). In other words, Anglican clergy are not ordained priests like one finds in the Catholic Church. Interestingly, the break in succession was not traced back to the time of Henry VIII himself, but rather to changes made during the brief reign of his son, King Edward VI (1547-1553), who succeeded him. The commission found that the ordination ritual contained in the new Edwardine Ordinal, the Anglican liturgical book at the time, was substantially different enough that its administration did not confer the true sacrament of holy orders (3). In the 20th century, scholars began to revisit this issue, noting that the members of Pope Leo’s commission were not unanimous in their findings, and raising the theoretical possibility that the papal bull might have been wrong. But in 1998 the Church officially laid this matter to rest. Pope John Paul II issued his motu proprio document, Ad Tuendam Fidem, primarily to assert that there are some doctrinal issues which the Church holds are not open to debate. 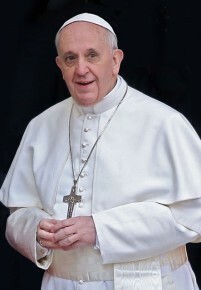 (Other aspects of this document were discussed in “Have Pro-Abortion Politicians Excommunicated Themselves?”) Within a few weeks, a companion document was issued by the Congregation for the Doctrine of the Faith—with the Pope’s advance knowledge and consent, of course—then headed by Cardinal Ratzinger, now Pope Benedict XVI. This second document provided a list of many theological issues which the Catholic Church holds to have already been settled once and for all. One of the examples of matters listed as “connected to revelation by historical necessity” and “to be held definitively,” is the invalidity of Anglican orders (11). This means that Catholic theologians, even in good faith, may not entertain discussions about the possibility that Leo XIII’s commission erred on this issue. The matter is closed. It goes without saying that many Anglicans are offended by this assertion, believing that their hierarchy does indeed continue in succession from the original Apostles. As Jon notes in his question, many members of their clergy will insist that they are, in fact, “priests”— which, as we have just seen, the Catholic Church does not accept. Obviously, since they are not members of the Catholic Church, they are not bound by anything that the Pope decrees, so they are completely free to believe as they like! The purpose of both Pope Leo’s original statement, and of the former Cardinal Ratzinger’s subsequent document, was not to criticize or offend members of the Anglican communion; it was to explain to Catholics that they cannot equate Anglican ministers with Catholic priests, and accept Anglican sacraments as equal to Catholic ones—they’re not. It was also to clarify that if an Anglican cleric became a Catholic, he was not automatically a Catholic priest once he entered the Church. True, members of the Anglican clergy may have an excellent theological background that is in many ways comparable to that obtained by a typical Catholic priest during his seminary training; thus a former Anglican cleric who already has such an education might, at least in terms of his coursework, be “fast-tracked” on the road to ordination as a Catholic priest. But he will need to spend a period of spiritual formation before Catholic ordination. And it should be noted that before anything else, the Catholic bishop of his diocese must choose to accept him as a seminarian. As we saw in “Can Homosexual Men be Ordained to the Priesthood?” nobody has an automatic right to be ordained a priest, no matter how strongly he may feel that the Lord is calling him to do this. It will ultimately be the decision of the diocesan bishop, and is not up to the Anglican-cleric -turned-Catholic himself. As was discussed just recently in “Episcopalians Entering the Catholic Church,” in the future the Church envisions establishment around the world of Ordinariates specifically for former Anglicans who have become Catholics. The Complementary Norms that accompanied the document outlining this new arrangement make specific mention of accepting former Anglicans into seminary training to become priests (Articles 4 and 10). Nowhere does it suggest that these Anglican clerics might already be validly ordained—it is taken for granted that they must be ordained by a Catholic bishop in order to become Catholic priests. Thus we can see that while it may be quite true that, as Jon noted, many Anglican clergy refer to themselves as “priests,” they are not regarded as validly ordained as far as the Catholic Church is concerned. In many (if not most) cases, they will be welcomed into the path leading to the Catholic priesthood—but at the end of that path will definitely be the reception of the Catholic sacrament of holy orders. This entry was posted in Canonical Issues Involving Non-Catholics, Clergy Issues, Holy Orders and tagged Anglican, canon law, Catholic, holy orders, ordination. Bookmark the permalink.